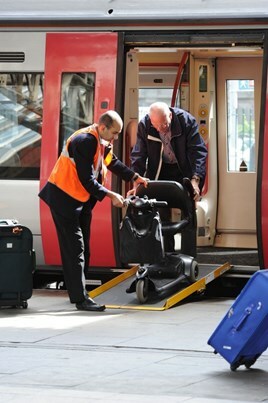 Improving access for disabled passengers at stations and on trains is under way following meetings with senior rail industry representatives, says Rail Minister Paul Maynard. The Department for Transport says clearer information will be made available at stations regarding availability of accessible toilets in advance of journeys, and that staff training will be improved. If facilities are out of order, the DfT wants operators to inform passengers. Also, maintenance teams will be tasked with repairing accessible toilets, and ensuring they are more reliable. Paralympian Anne Wafula-Strike had highlighted the issue facing passengers with mobility issues. Maynard said: “I take the issue of accessibility on our railways extremely seriously, and these commitments from industry are just one step forward to improve things.